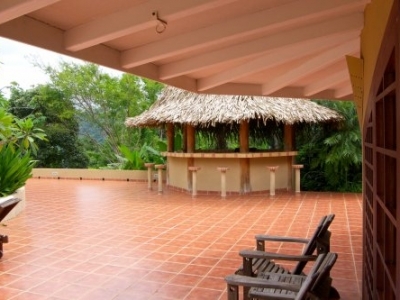 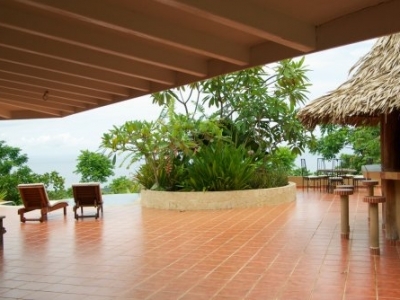 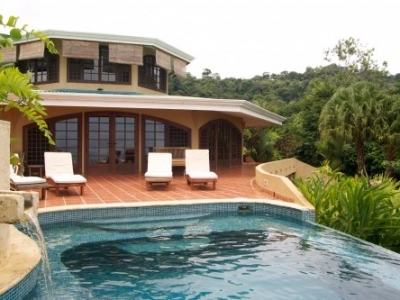 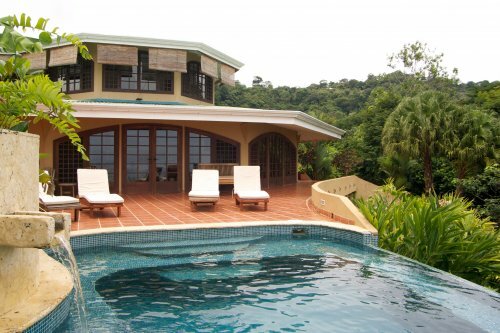 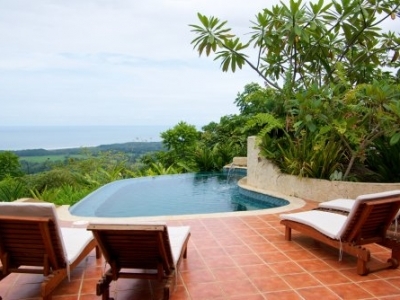 Bosque en el cielo – 3 Bedroom Ocean View Home w/ Huge Deck and Infinity Edge Pool!! 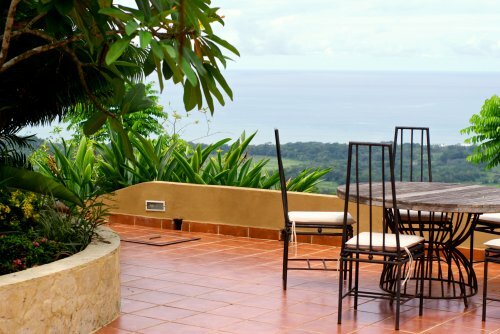 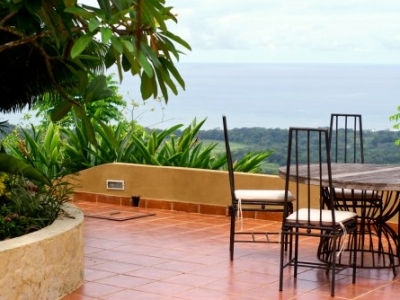 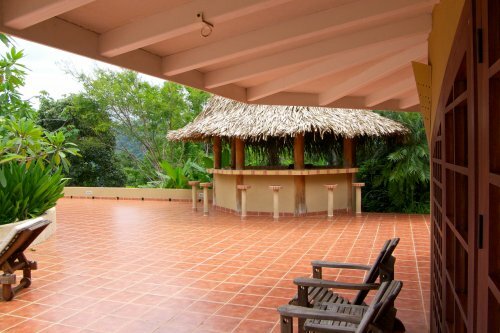 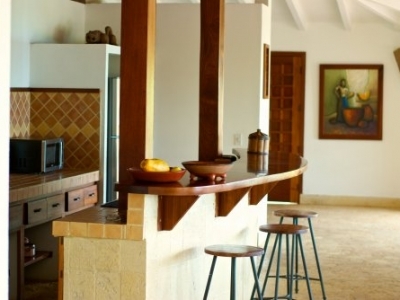 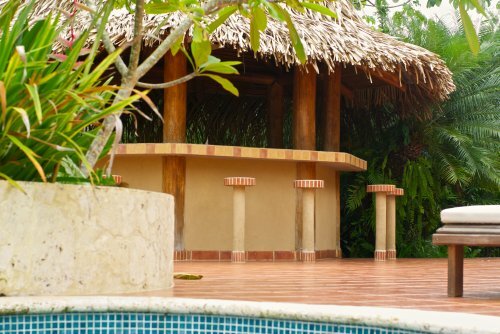 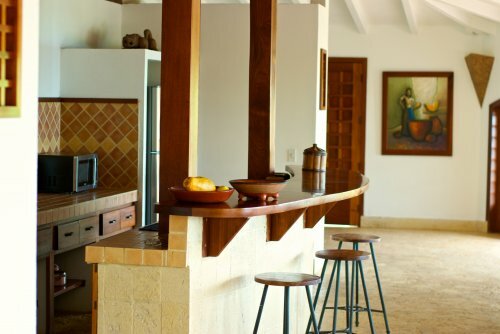 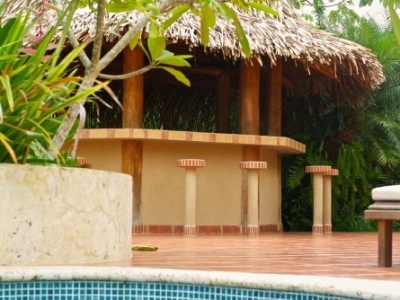 Bosque en el Cielo villa rental has a large open kitchen & dining area that overlooks the ocean and a 3,200 square foot tile deck and infinity edge pool. 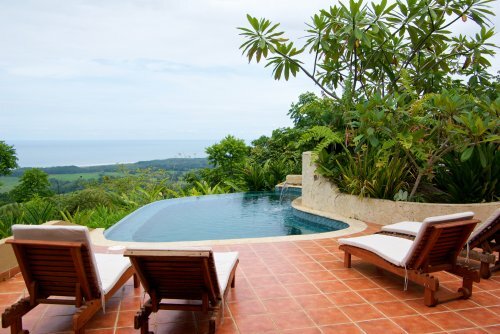 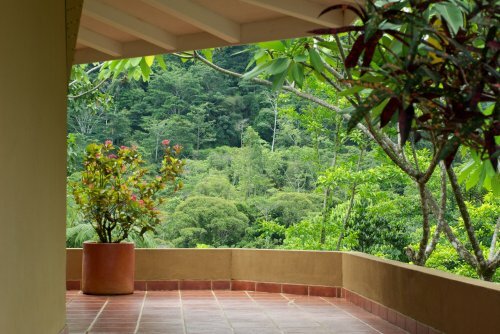 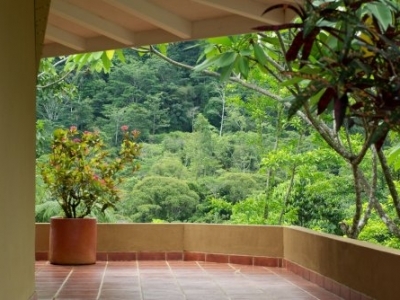 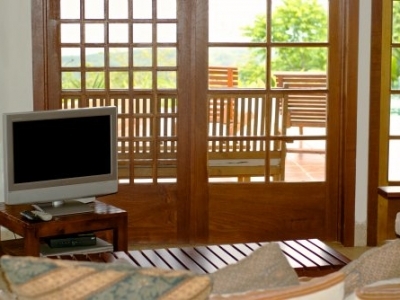 The master suite of this rental villa sits on top of the lower base in order to maximize the cool ocean breezes from the west and collect the sweet rain-forest mist from the east. 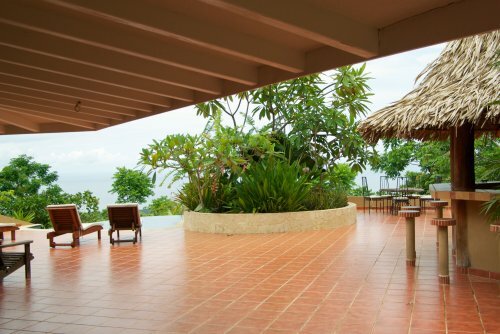 The sprawling terrace encompasses a poolside thatched bungalow and bar with a stainless steel gas grill and barbeque station. 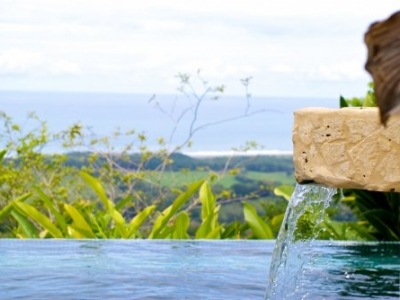 The chemical free saline infinity edge pool has a continuous stream of cool flowing water which enters the pool trough a waterfall. 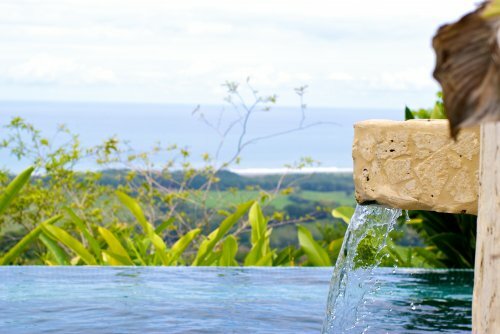 After heating up on one of the luxurious teak lounges or taking a siesta on a hammock, the water is always rain forest fresh and inviting.